Consists of 2 sheets - 6.7" x 18"
Cars "little racer" wall decals come with 2 - 6.7" x 18" sheets of various stickers. Self-stick adhesive stickers wont harm your walls. 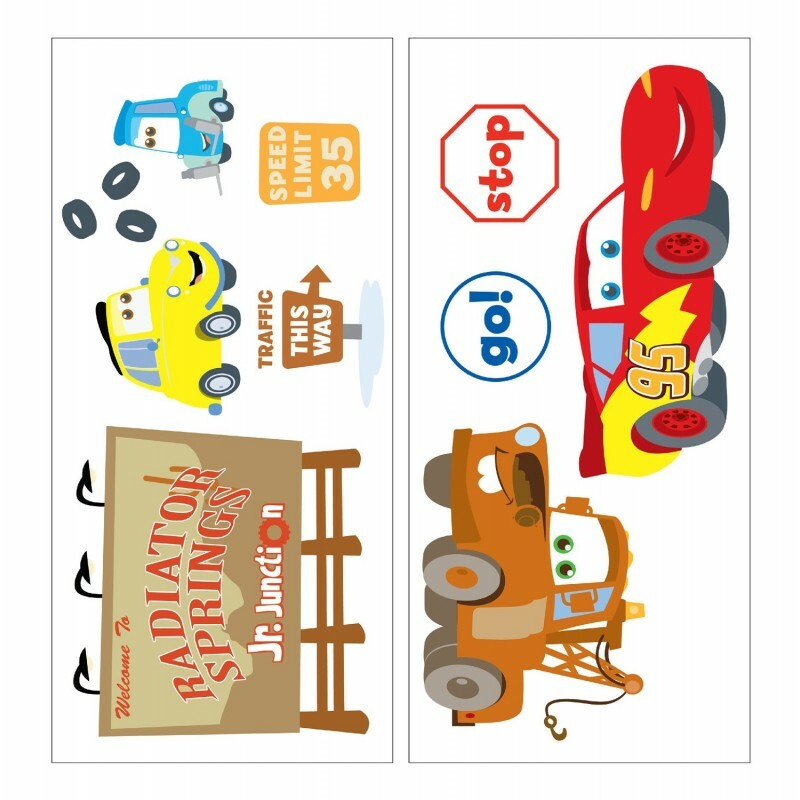 Removable wall decals are quick and easy, just peel and stick. You can customize the look of your nursery or personalize your favorite rocker or toy box. Colors are: coordinates with a full line of nursery bedding and decor.